Kindred Teacher Recruitment was established on the idea to support the schools and teacher candidates in finding the best match. This will result in a school with an outstanding brand image due to having best fit teachers where they will perform to their best while enjoying their jobs. We are committed to support International school, Language school and public school teachers who are willing to teach in China, Indonesia, Middle East, Japan, Thailand, Vietnam, Korea or other countries and find the best schools for them. If quality of education matters the most to the school, sooner or later the school will be in partnership with Kindred Teacher Recruitment. Our management staff comes from TEFL teacher back ground with 6 years teaching experience added with 15 years experience in International teacher recruitment. 14 years of which was end to end recruitment with one of the world largest Educational Institution and at the same time 12+ years experience as Group Human Resource Manager for Academic operations. • Our database has reached over 12000 teachers catering for International schools,Public schools and Language schools in China, Kuwait and Indonesia. We have a high number of qualified candidates from UK, US, Australia, Ireland, Canada, New Zealand with BA in English, BA in Educaton, MA in teaching English, PGCE, ,BA Major in school subject such as Math, Science, Physics, Biology, PE, History and certified teachers in their home countries to cater for our school partners at International schools as well as a high number candidates with BA and TEFL or CELTA to cater for our school parthers at Language schools or Public schools. • We have successfully hired 500+ International teachers from UK, US, Canada, Australia, New Zealand, Ireland, South Africa. • 15 years experience in sourcing candidates and successfully attract the best active and passive candidates until they are hired. To be the most preferred recruitment partner for International schools, Language schools and Public schools in seeking the best teacher candidates based on the school requirements. To be the main recruitment company for teacher candidates in finding teaching jobs due to our commitment to ensure a convenient and reliable recruitment process and be part of the teachers career growth. To continually improve and provide recruitment service that creates happy clients both the schools and teacher candidates resulting in the best education and learning experience for the students. We, Kindred Teacher Recruitment, highly value our client relationship and strive to give the best service. 1) Specialized in Teacher Recruitment and Expert in the industry. We are a recruitment company that specializes in hiring expatriate teachers or International teachers from UK, US, Australia, Canada, New Zealand, Ireland and South Africa. 4) Best Practice in Recruitment. We implement applicant management system ensuring the candidates receive timely response and updated of the recruitment process. We represent our partners professionally toward our candidates. 5) Consistency and Quality of Service. The school will get high quality teachers. Our database has reached over 10000 teachers catering for International schools,Public schools and Language schools. We have a high number of qualified candidates from UK, US, Australia, Ireland, Canada, New Zealand. Our candidates have BA in English, BA in Educaton, MA in teaching English, PGCE, ,BA Major in school subject such as Math, Science, Physics, Biology, PE, History . We also have candidates who are certified teachers in their home countries to cater for our school partners at International schools as well as a high number candidates with BA and TEFL or CELTA to cater for our school parthers at Language schools or Public schools. 6) Depth of Experience. We have over 15 years experience in candidate selection process. We have done over 2000 candidate interviews and we have successfully placed over 500 International teachers. 7) Reputation. over 80% of our school partners come from repeat clients and personal referrals. To understand further why our offer will be the best value per teacher successfully hired, please complete our form below or contact us for further details information. Please note that we will take your order regardless the amount of teachers that you need. We will contact you at the latest within 48 hours as soon as we receive your completed form. 1) Partnership with reputable schools. We make partnership only with reputable schools (Language schools, Public schools, International schools) and the salary depending on the kind of schools and the country location of the schools will be at the range US$ 1100 – US $ 4000. By sending your cv to us, our system will be proactive in ensuring your cv to find the best job with the highest package based on the qualification and experience. Finding the best job will very often depend on the right timing. The best strategy will be to send your cv or complete our application form as early as possible. 2) In depth knowledge of TEFL job market. We have an excellent knowledge of the worldwide Teaching Job and TEFL Job market. We know which schools are forming exciting opportunities for people with your knowledge and expertise. 3) Peace of mind for teachers. When we make an agreement with our partner we make sure a certain standard is implemented to ensure the convenience and peace of mind for the teachers hired by the schools. Such as: ensuring the pick up at the airport, welcoming process, orientation, induction, and training when required. 4) Depth of Experience. We have 15 years experience in job placement for International teachers and we have hired over 500 international teachers from the UK, US, Australia, Canada, New Zealand, Ireland, South Africa. 5) Getting Best fit schools. Our many years of experience in selecting teachers will benefit both the teachers and the schools in term of higher chances of best fit. The teachers will minimize the risk of having to leave the job and the school will benefit from having a stable team of teachers. 6) Background in the field of Education. With 6 years of experience as a certified TEFL Teacher, we will be able to give particularly new teacher candidates support for the start of the teaching assignment. 7) 100% Free of Charge. The cost for all the above will be completely free of charge for the entire recruitment process. We are currently in partnership with many reputable schools in China and it keeps increasing. Our school partnership covers over 60% of schools in South, East, and North China. The location: We have partners in many favorite locations in China. We also have schools in South West China such as Chongqing, Chengdu and many other schools across China. As for the salary package, depending on the company and city location, the salary include housing will be highly competitive within China market and many schools are in the higher range plus plane ticket, bonuses and work visa. Please make sure to send us your CV and let us do the work in finding you reliable and reputable schools in China. Teach and Travel Abroad Opportunities: Shenzhen and Fuzhou, English Teacher and Daycare Teacher, Salary Package RMB17000 or US 2500 - RMB 21000 or US$3100 Including Free Housing , Flight Allowance and Being part of a wonderful team . passionate teachers the opportunity to work in one of their newly opened centres in China’s tech hub of Shenzhen. The classrooms are designed to be flexible, allowing for a multitude of different activities to be used in class. Each classroom is equipped with two whiteboards as well as a TV with USB and in some cases electronic whiteboards. educational DVD’s to allow them to bring English into their home environment. Fuzhou is a ‘small’ Chinese city, and capital of Fujian province. It’s a fascinating, sometimes crazy, a mix of old and new. it’s easy to find a quiet place. It’s coastal, surrounding by mountains and in 2014 was ranked 7th in china for air quality. over 2,500 species of trees and beautiful clear water. Xi Chan temple, a huge temple complex not far from the river. What sets this apart from countless other temples in Asia is how busy it is. Not with tourists but with Taoist monks. This is a real working temple and it’s fascinating to sit in a secluded spot and watch people practicing their religion. is a beautiful scenic place to cool off in clear natural rock pools under waterfalls. West Lake is a beautiful lake in the heart of the city, with a number of little islands and pathways winding around and between them. Drum Mountain,on the other hand, is on the eastern edge of the city. It’s a huge ridge that overlooks the city and provides spectacular views. It’s also highly popular especially with exercise enthusiasts who climb it regularly! Shenzhen is situated in southeastern China and is known for its fantastic shopping. The city features some of the worlds most modern buildings. It is also one of China’s wealthiest cities and is very popular with visitors as it’s a short distance from Hong Kong. Shenzhen is home to an abundance of different cuisines and eateries. Expect to find foods from all around China. In terms of restaurants,there are many Asian restaurants and Western-style restaurants. A big advantage to eating out in Shenzhen is the price, it is cheaper than eating out in Hong Kong. Shenzhen is reasonably mild with a mix of rain and sun. An advantage is Shenzhen’s air quality, it is considered to be one of the best in China’s big cities. Shenzhen has some scenic city parks. It is also known for its striking mountains and hills and not forgetting great beaches. it is the second tallest mountain in the Pearl River Delta after Hong Kong’s Tai Mo Shan. Nanshan Park is a beautiful place to go hiking and on clear days has fantastic views. A very interesting seaside urban park, an ideal place for exercise or unwinding with friends. OCT Bay has something for everyone, it is a large retail and entertainment park in Shenzhen. Along with the benefits of professional development comes the lifestyle that the job can afford you. and a generous salary has allowed to live a quality of life unattainable to most recent graduates back in the United States. I am about to save half of my salary each month, yet still live a lifestyle with little financial restrictions. and a combination of plentiful bus stations, a metro, and even a public bike-sharing program, make traveling a breeze. that are a once in a lifetime opportunity. Fuzhou is ideally located to allow for convenient travel to almost anywhere in East Asia. I’ve been to Shanghai, Beijing, Xiamen, Thailand and Hong Kong. I don’t quite know what the future holds for me yet; all I know is that I have fallen in love with the company. Whether it is the country, the job, the people – everything! hopefully showing people the same support that I experienced when I first arrived. As part of the teaching team, you will have Bachelors degree in any subject with TEFL certificate. You hold a passport either from the UK, US, Australia, South Africa, New Zealand,Ireland or Canada. This is due to the government regulations. The school will provide you with initial training before you start teaching as well as ongoing training. Our next available vacancies will be for April, May, June and July 2019.
and has the ability to adapt to living and working in a new country. •2 weeks of paid training when you arrive to prepare you for your teaching. • 2 weeks of paid training when you arrive to prepare you for your teaching. China A. English Teachers for Public schools, International Schools and University. 1.Kindergarten, Primary or Middle school teacher for reputable schools in Southern China . Location: Guangzhou, Foshan, Dongguan, Shenzhen and some other cities in Southern China. Location: Guangzhou and some other cities in Southern China. The salary package will be highly competitive for International school positions in China. BA in English for English Teacher. English Teachers for public schools located mostly in Beijing and cities in North China. Currently the group has 15 branches in China mostly in the area close to Beijing. The salary is highly competitive for China salary + Housing + Plane ticket + Work visa depending on the qualifications and experiences. 4..English Teachers for Language schools, Public Schools, International standard schools mostly located in Shanghai. Shanghai has become one of the most popular destinations for teaching English among International teachers in China. The salary includes housing will be in the higher range for China salary + Plane ticket + Work visa depending on the qualifications and experiences. Bachelor degree any subject. Fresh graduates are welcome to apply. English Teachers for reputable Kindergarten schools in Nanping, Fujian. China. The salary include housing will be at the range US$ 2100 - US$ 2600 + Plane ticket + Work visa + bonuses. The salary is in the higher range for University for China salary + Housing + Plane ticket + Work visa depending on the qualifications and experiences. 2 Bachelor degree in any subject. China B. English Teachers for Training Schools or Language schools. Located in South West, North and South East of China. This position would be suitable for 1st year teachers or teachers who are interested in developing skills in teaching English. The schools provide a supportive working environment and professional development program through in-house workshops from experienced teachers and the Director of Studies. The salary includes housing will be at the range US$ 2100 - US$ 2600 + Plane ticket + Work visa bonuses depending on the qualifications, experiences and school locations. The salary includes housing will be at the range US$ 2100 - US$ 2600 + Plane ticket + Work visa depending on the qualifications and experiences. Bachelor degree any subject. Fresh graduates with working experiences while at college are welcome to apply. English Teachers for a fast-growing Language schools in China mostly in Beijing and other cities in North China. Currently, the group has 15 branches in China mostly in the area close to Beijing. Job no 1 . English Teacher for Primary school at Bilingual School or International standard school. Jakarta. Indonesia. The salary package including housing and work visa is highly attractive within the salary range of International standard school. The earliest available position will be for January and March 2019. Job no 2. Subject Teacher ( 2 positions: Science teacher and Math Teacher ) for Bilingual School. Jakarta. Indonesia. 3. English Teacher for Primary school and Secondary school at International standard schools. Jakarta. Indonesia. Male or Female teachers. Female teachers would be preferable. Please send CV and Photo to kindredteachabroad@gmail.com and Please write Job Ref : Kindred Indonesia Job 3 on your cover letter or email subject. 4. English Teacher for Primary school or Secondary school at International school. Jakarta. Indonesia. The total package will be up to US $ 3500. Below will be the breakdown. Preferably female candidates for Primary school teacher. 5..English Teachers for In-company training. The salary package is highly attractive comparable to an international standard school salary package. 6.English Teachers for Language schools. The location will be for the city of Jakarta, Bandung, Jogjakarta, Surabaya, Bali. The salary package will be highly competitive for Language schools in Indonesia. 7. English Teaching position for Non-native English Teachers / Indonesian English Teachers to teach In-company Training at International standard language school with highly attractive package. Preferably have experience teaching for in-company courses. And career advancement opportunities. The school offers opportunities for promotion to staff with the skills and experience to take up academic management and supervisory positions. Successful applicants will demonstrate excellent communication skills, flexibility, creativity and a passion for teaching and learning. A total package up to US $ 3500. Below will be the breakdown. Tax-free, salary range includes housing US $ 2750 - US $ 3350 depending on the qualifications and experiences. Shared, furnished school accommodation (utilities included). Kuwait has a relatively low cost of living relative to the other Gulf States. Kuwait has a relatively low cost of living relative to other Gulf States. Min Bachelor's degree preferably majoring in Math, Chemistry, Biology, Physics, Geography, History, Art, Computer or Music. Min Bachelor degree preferably in Education. Having experience as a Kindergarten teacher will be an advantage. The salary will be highly competitive for International school salary range in Vietnam which include Plane ticket + Housing+ Paid Holiday include 2 summer month in June and July. Bachelor degree preferably majoring in English or Education. 3. English Teachers for Language schools. We find joy when you can secure a new teaching position that is best fit both for you and the school. We certainly hope it will be the start of the continuing progress of your career. 2. Interview arrangement with the school. 3. Start placement process (Visa, Ticket and Airport pick up). The Certificate is the best value certificate equivalent with CELTA Certificate or Trinity TESOL Certificate. Is there any face-to-face training? Is there any classroom experience? The JLA Cert. TESOL requires all participants to complete at least two classroom observations, each one followed by in-depth written and verbal feedback and a development plan to help identify strengths as well as specific areas for improvement. JLA Cert.TESOL runs a regular intensive course in January, February, July and August with the locations in Jakarta and Bali, and a weekly course in March and September in Jakarta. Intensive Courses are completed in 3 weeks, with teaching practice and assignments all completed onsite. Courses are completed over a course of 20 sessions plus classroom practice and assignments. We deliver high quality, engaging and effective professional development programs for teachers and educators as well as academic consultation services for education institutions across Indonesia and South East Asia. For more details including the best value price for the course, please complete the form below. Are you TEFL Certified? Having TEFL Certification will give a boost to your teaching skills and it will bring you to an effective teaching habit where you and your students will enjoy more the learning process in the classroom. There are a dizzying number of TEFL course providers and the recognition, or validity, of their TEFL and TESOL certificates vary considerably. However, there are only a few international organizations that are truly well established, recognized and internationally accredited—one of them is ITTT. The vast majority of English language schools and institutes around the world require 100 hours of training completed by an externally moderated and accredited organization that meets international regulatory standards. In order to meet these standards laid down by organizations such as TESOL in the usa and the British Council in the UK, TEFL or TESOL courses must include at least six hours of observed and constructively critiqued TEFL lessons with non-native speakers as their students. The course should also offer dynamic lessons for the trainees themselves, covering all aspects of TEFL, including methodology, language awareness, phonology, and have a grading system based on performance teaching as well as on a final exam. By holding certification from a well-known organization such as International TEFL and TESOL Training (ITTT), potential employers can see that you’ve completed a reputable TEFL course which included six hours of observed teaching practice, that you completed all projects and assignments outlined in the course, and that the delivery of your lessons was of a high standard. Therefore, if you plan to teach English abroad, it is to your benefit as well as the benefit of your students, that you enroll in a course that meets international standards and ITTT not only meets those standards but is one of the world’s leading organization to do so. include 100 or more hours of training and input? assess trainees continually during the course through projects, assignments, teaching practice and also include a final exam? offer a certificate at the end of the course that is valued and internationally recognized. 4-week, in-Class TEFL Courses with observed teaching practice. The In-class courses last for four weeks and are held throughout the world. Our emphasis is on practicality, so you know you’ll be prepared for the classroom once you’ve earned your certification. There’s no need to speak any language other than English and through our course, we’ll show you the value of an English-only classroom and how to facilitate your lessons through our communicative approach— which is an international standard. While each course is demanding, we’ll do all we can to help everyone along and you can rest assured that we’ll provide you with every skill and all information needed to pass the course. In addition to this, once certified, we’ll help find you a job nearly anywhere in the world. TEFL International’s courses are intensive; however, our trainers will help every trainee in accordance with individual needs and all trainees will have sufficient time in which work on the course as well as explore the local area and culture. In many cases, course organizers will help to arrange leisure activities and trips for trainees .The price for the 4-week,in-Class TEFL Course starts from US$ 1490. 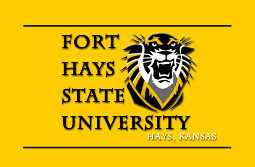 Located in Kansas, in the USA, FHSU has an enrolment of more than 13,000 students and offers hundreds of certificate and degree programs at the associate's, bachelor's and master's levels via 28 academic departments. More details at fhsu.edu. All ITTT onli ne TEFL courses are fully accredited by the Online TESOL and TEFL Standards Agency. OTTSA is a professional educational organizatiothat is dedicated to raising standards within the teacher-training industry, specifically online courses in Teaching English as a Foreign Language. 2.Exam Courses for studying abroad. Getting Into The Ivy’s, a brand of Chelsea International Education.LLC.USA, is the leading holistic test prep and college admissions service in the industry. We provide an all-round ultimate college admissions system that is rooted in value, transformation, and results. Our proven systems, techniques, and results have been rigorously developed by Ivy-league educated scholars, former college admissions officers, and elite life coaches using industry leading best practices. All our tutors are experienced certified teachers, college, and university professors. You can be assured that you will be satisfied with our services. Our proven systems and step-by-step methods lead our clients to the ultimate result: getting into their dream University! English Language skills will be one of the most important skills that you need to achieve your dream to study abroad such as: USA , The United Kingdom, Australia, Canada, New Zealand to get Bachelor degree from English Speaking country.